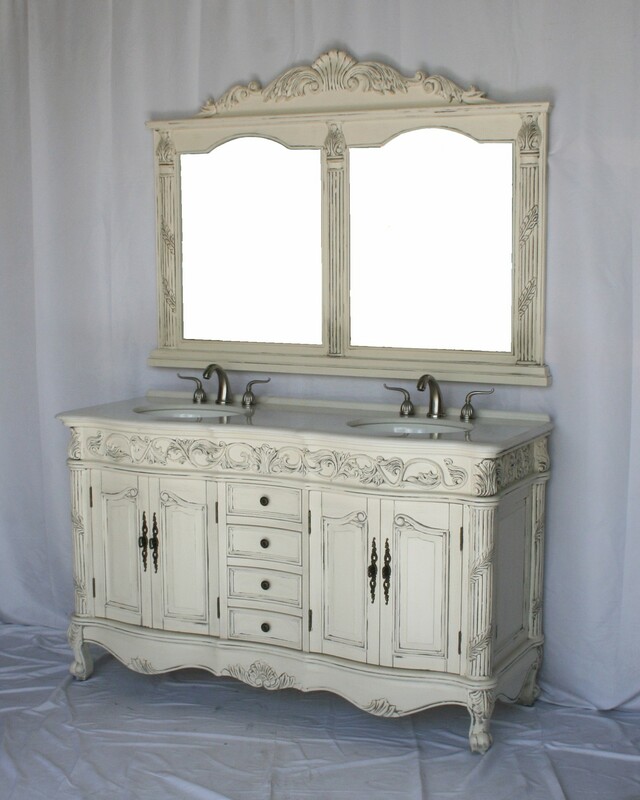 This Handcrafted Single Sink bathroom furniture Vanity Chest with Solid Slab Imperial White Marble Stone Top includes a 1.25" Backsplash. 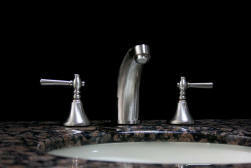 The countertop is hand finished and hand polished and features Beveled/OG Edges. 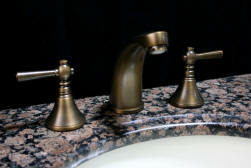 Lots of countertop space and excellent bathroom vanity storage space consisting of Four (4) Doors with one Shelf in each vanity storage compartment, Four (4) Drawers on Metal Slides with Felted Top Drawer. 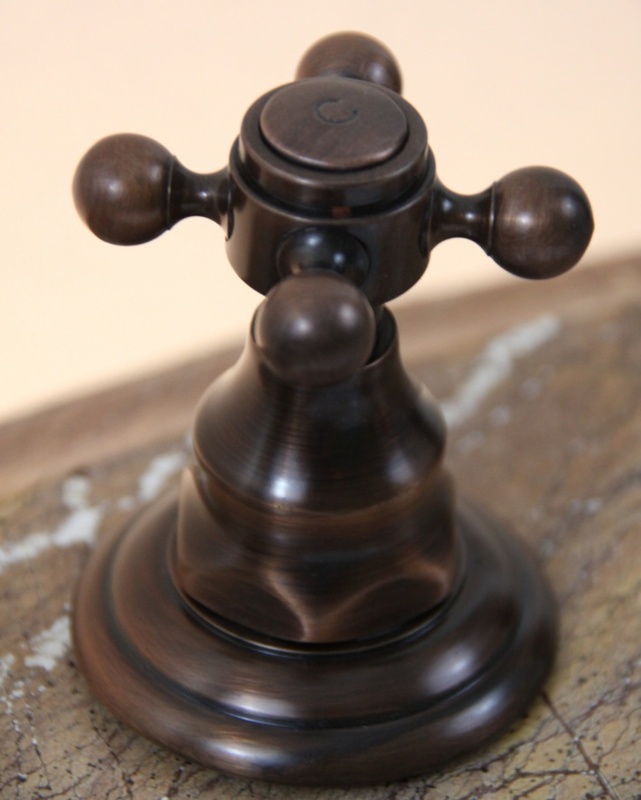 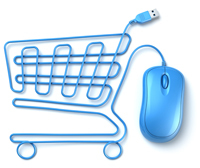 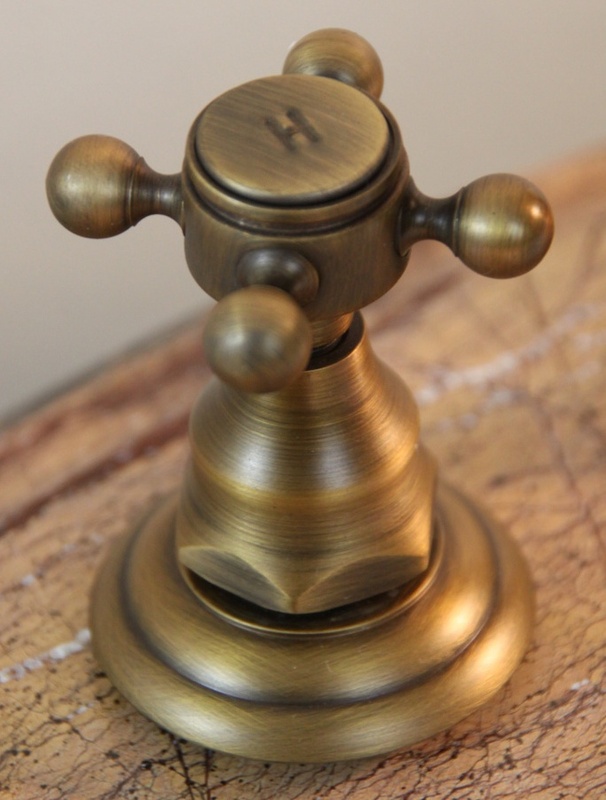 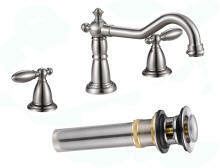 Each item ships fully assembled and is available as shown only. 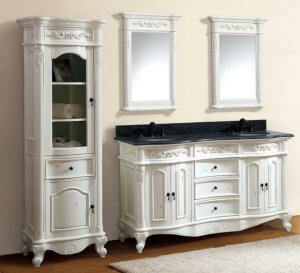 Made from Solid birch wood frame construction, poplar wood and moving doors and drawer panels constructed using a combination of wood veneers and High Quality High Density MDF materials, this vanity and Wall Mirror combination cabinet ships complete with Oval shaped, White color Porcelain Under Mount Sinks. 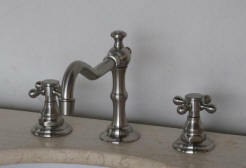 Vanity Top is Pre-drilled for 8" standard faucet. 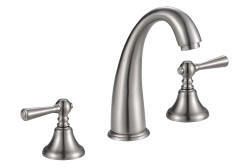 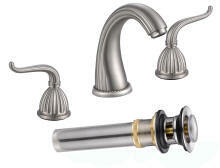 Faucets sold separate, see below for faucet selections. 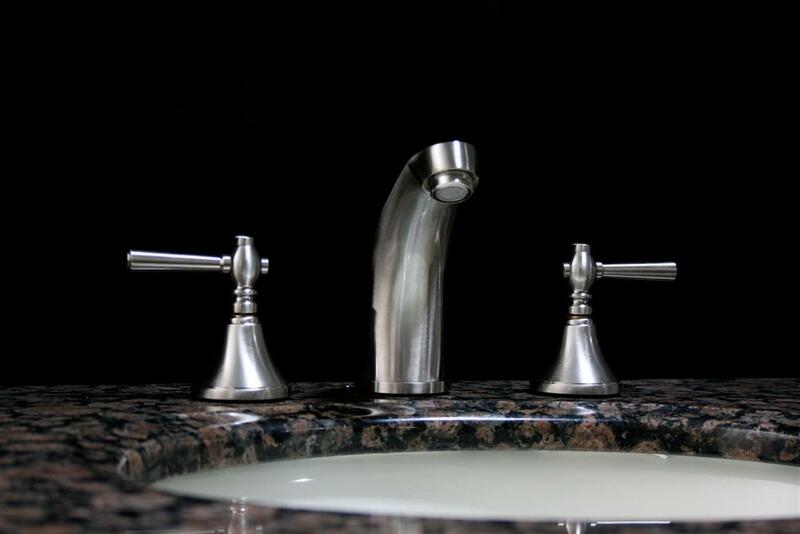 Double Sink Vanity Chest Overall Dimensions W=60" D=22" H=36"
Vanity Wall Mirror Overall Dimensions W=58" D=2" H=42"
This Double Single Sink Vanity Bathroom Furniture includes a hand crafted finish, hand polished, Natural Solid Slab Imperial White Marble Stone Top, a 1.25" Backsplash and Beveled/OG Edges. 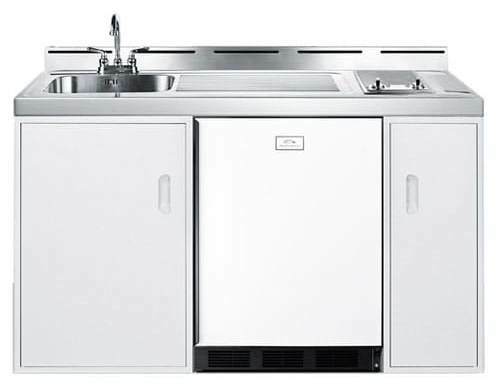 Lots of storage space with Four Doors, Shelves, Four Drawers on Metal Slides with Top Drawer Felted. 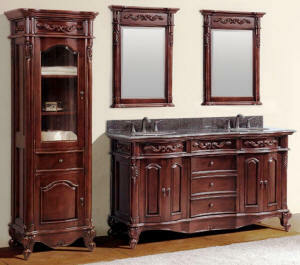 Magnificent looking 60" Omaha Double Sink Vanity Chest with Matching Set two piece one frame Wall Mirror. 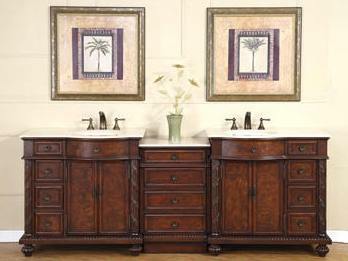 View also optional, Matching Set 28" wide Alberta Linen Cabinet, click here. 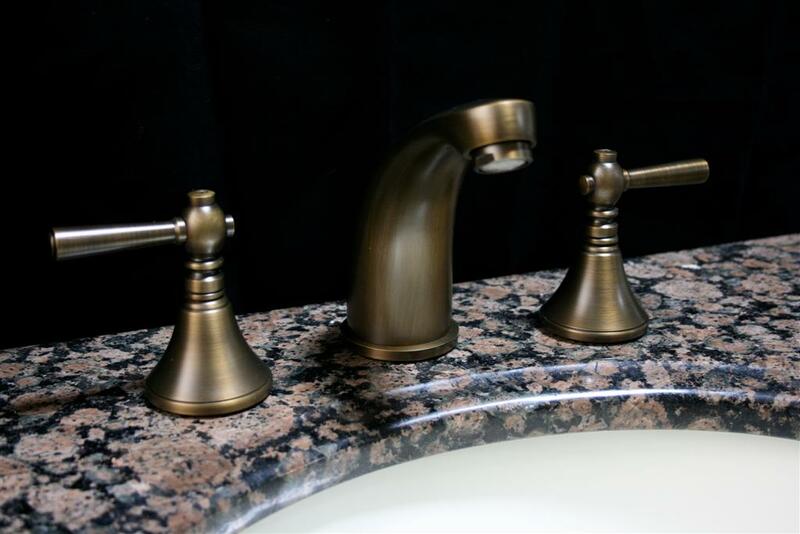 Like this 60" Omaha Double Bathroom Vanity - See also 60" Antonia Double with matching set Medicine Cabinets, click here to view. 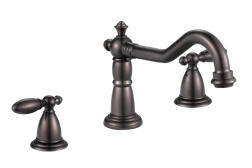 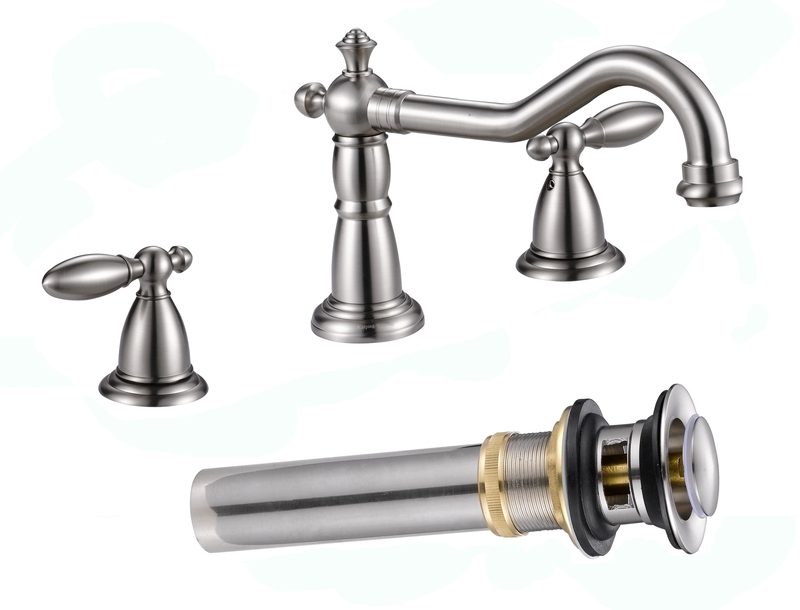 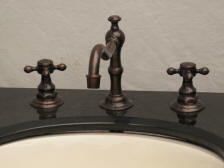 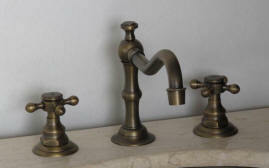 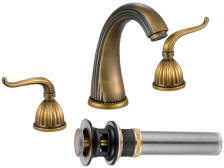 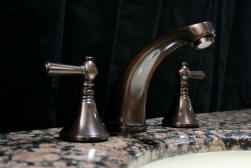 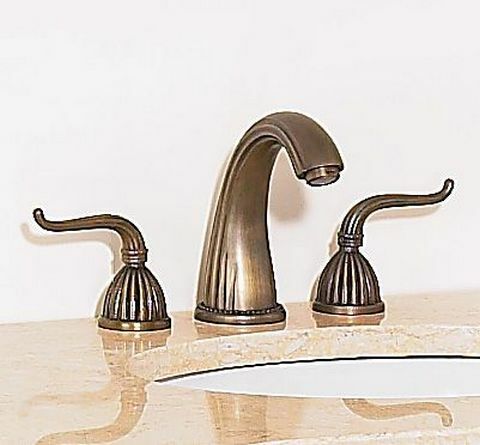 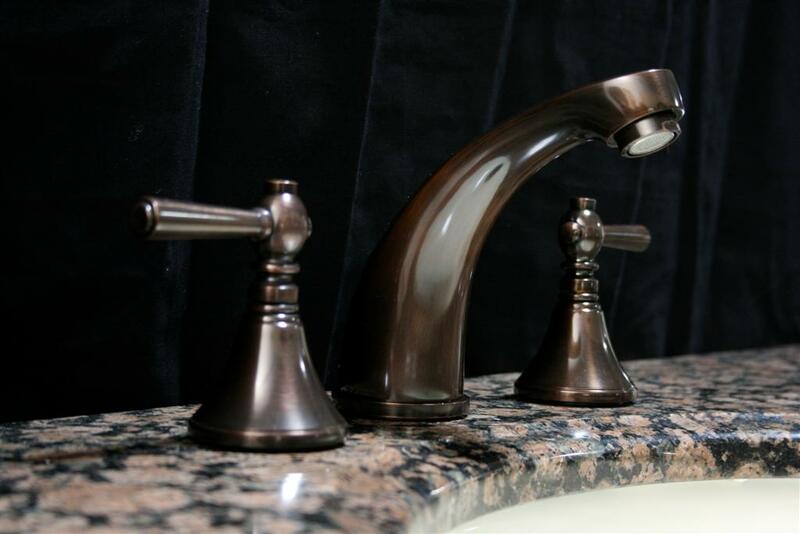 These elegantly styled solid brass Washerless faucets (left and right, below) are available in 3 finishes.